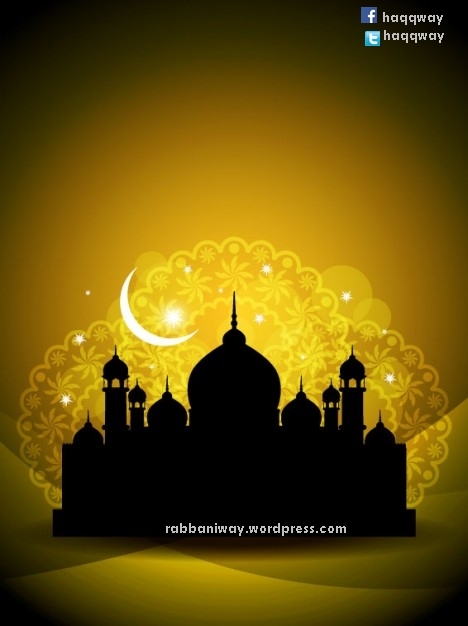 This article aimed to to explain Islamic view on Celebrations and Feasts. Some scholars in Islam Channel and other Wahhabi networks spreading corrupt information about Islamic belief about Celebrations. So for those who intent to become “Rabbaniyyun” (Godly persons)” , must seek the correct knowledge and practice it and shun all forms of misguidance and innovations preached by corrupt scholars! The innovators from the misguided sects, says Muslims have only two days of celebrations (Eid Al Fithr and Eid Al Ad’ha) and all celebrations are innovations! There is no evidence in Quran and Sunnah which prohibit Muslims celebrating other days to thank Allah for His Mercy and His Blessings which comes to a person/his family/the society. If so , the innovators must make make fatwa (religious verdict) that Saudis celebrating national day is an act of Bidha and since all Bidha is a misguidance and all misguidance are in hell fire. Because there is no evidence that Sahaba (salafs) celebrated the establishment of Islamic Caliphates! The Messenger of Allah (peace and blessings of Allah be upon him) gave us a sermon by which our hearts were filled with fear and tears came to our eyes. So we said, “O Messenger of Allah! It is as though this is a farewell sermon, so counsel us.” He (peace and blessings of Allah be upon him) said, “I counsel you to have taqwa (fear) of Allah, and to listen and obey [your leader], even if a slave were to become your ameer. Verily he among you who lives long will see great controversy, so you must keep to my Sunnah and to the Sunnah of the Khulafa ar-Rashideen (the rightly guided caliphs), those who guide to the right way. Cling to it stubbornly [literally: with your molar teeth]. Beware of newly invented matters [in the religion], for verily every bidah (innovation) is misguidance.” Ref:40 hadith Imam Nawawi[Abu Dawud] It was related by at-Tirmidhi, who said that it was a good and sound hadeeth. Quran 22:67 To every People have We appointed rites and ceremonies which they must follow: let them not then dispute with thee on the matter, but do thou invite (them) to thy Lord: for thou art assuredly on the Right Way. Quran 21:20 They celebrate His praises night and day, nor do they ever flag or intermit. For Deviants and Innovators, Sun may rise only 2 days every year and rest days their hearts are in Darkness! But believers take every opportunity to celebrate the Praise of Allah (Alhamdulillah) for the favors they received and will commemorate it in every year or as they can do. 20:130 Therefore be patient with what they say, and celebrate (constantly) the praises of thy Lord, before the rising of the sun, and before its setting; yea, celebrate them for part of the hours of the night, and at the sides of the day: that thou mayest have (spiritual) joy. They have no Spiritual Joy, they are deprived of Spirituality and Truth! So according to deviants and innovators interpretation, Muslims are only those who follow Muhammad alaihiswalathu wa salam and his sahaba (Companions) according to Quran and Hadith. So Why Quran mentions about the celebration of previous Prophets and their nations?. Quran 19:11 So Zakariya came out to his people from him chamber: He told them by signs to celebrate Allah’s praises in the morning and in the evening. The Believers and unbelievers (other than atheists and Satanists) celebrate God’s praise, though their beliefs about the Essence of God may be wrong. Quran 17:44 The seven heavens and the earth, and all beings therein, declare His glory: there is not a thing but celebrates His praise; And yet ye understand not how they declare His glory! Verily He is Oft-Forbear, Most Forgiving! 15:98 But celebrate the praises of thy Lord, and be of those who prostrate themselves in adoration. Though you may celebrate the praise of God and share with all those who participate, but be among the people who prostrate. And celebration can attract others to the faith of prostration (Islam). 7:206 Those who are near to thy Lord, disdain not to do Him worship: They celebrate His praises, and prostrate before Him. I heard a few days ago in “Islam Channel” a so called scholar saying Zikr gatherings are Bidha!, I am sorry for the fate of Muslim Ummah to listen to this kind of nonsense! The program begin and take break with verse: 4:59 : “Oh You have believed Obey Allah, Obey the Messenger and those who are in authority among you”. I would like to ask this Islam Channel and it’s Scholars, who gave you authority?, Allah and His Messenger alaihiswalathu wa salam? or the Pharaohs, Herod (s) and Yazeeds of this times? 3:191 Men who celebrate the praises of Allah, standing, sitting, and lying down on their sides, and contemplate the (wonders of) creation in the heavens and the earth, (With the thought): “Our Lord! not for naught Hast Thou created (all) this! Glory to Thee! Give us salvation from the penalty of the Fire. Quran 4:103 When ye pass (Congregational) prayers, celebrate Allah’s praises, standing, sitting down, or lying down on your sides; but when ye are free from danger, set up Regular Prayers: For such prayers are enjoined on believers at stated times. I suggest the corrupt scholars of Islam channel question and answer program take heed and gain wisdom of Quran. 2:239 If ye fear (an enemy), pray on foot, or riding, (as may be most convenient), but when ye are in security, celebrate Allah’s praises in the manner He has taught you, which ye knew not (before). What are the Islamic Manners in Celebrations? Quran 2:221 Do not marry unbelieving women (idolaters), until they believe: A slave woman who believes is better than an unbelieving woman, even though she allures you. Nor marry (your girls) to unbelievers until they believe: A man slave who believes is better than an unbeliever, even though he allures you. Unbelievers do (but) beckon you to the Fire. But Allah beckons by His Grace to the Garden (of bliss) and forgiveness, and makes His Signs clear to mankind: That they may celebrate His praise. Marriage is a celebration in Islam, it is celebrated upto three days depends on the financial as well as other situations are considered. Wedding banquet (Waleema) are also served. 41:38 But is the (Unbelievers) are arrogant, (no matter): for in the presence of thy Lord are those who celebrate His praises by night and by day. And they never flag (nor feel themselves above it). 62:10 (Sura Juma) And when the Prayer is finished, then may ye disperse through the land, and seek of the Bounty of Allah: and celebrate the Praises of Allah often (and without stint): that ye may prosper. How do innovators justify Quran as a guidance to all Mankind, when they reject other types of eids except the two Eids? The Hadith about imitating the unbelievers does not mean it is following the ways of Previous Prophets. The innovators have misunderstood Muslims following the ways of other Prophets and imitating the unbelievers (Jews and Christians)! The above hadith is clear proof that there is no prohibition to practice a good deed or a style that is practiced by the nation of previous Prophets if it is not forbidden in Quran and Hadith as well as in previous Books! Innovators say, Muslims have only two days of celebrations (Eid Al Fithr and Eid Al Azd-ha), but this hadith contradicts with the belief of innovators!. I am taking this opportunity to remind Islam channel for misleading and confusing Muslims by giving innovators to speak on Maslak of Islam!. The Celebration involve, Zikr, salawat, sohbet (a spiritually enlightening talk) then serving of Food. So if a Man begot a son, so he wish to celebrate and thank Allah for that favor, he may choose to give people (halal food) feast and celebrate the praise of Allah. Even Salah (obligatory prayers) are given choices to a believer to recite from what is allowed. So we see that Rejoicing and Celebrating over that Joy to thank Allah and Praise Him for what goodness have come to us, has more scope than just two eids!. QURAN AND HADITH WARNING ABOUT INNOVATORS WHO LIMIT THE CELEBRATIONS TO TWO EID! 32:15 Only those believe in Our Signs, who, when they are recited to them, fall down in prostration, and celebrate the praises of their Lord, nor are they (ever) puffed up with pride. 39:23 Allah has revealed (from time to time) the most beautiful Message in the form of a Book, consistent with itself, (yet) repeating (its teaching in various aspects): the skins of those who fear their Lord tremble thereat; then their skins and their hearts do soften to the celebration of Allah’s praises. Such is the guidance of Allah: He guides therewith whom He pleases, but such as Allah leaves to stray, can have none to guide. Quran 39:22 Is one whose heart Allah has opened to Islam, so that he has received Enlightenment from Allah, (no better than one hard-hearted)? Woe to those whose hearts are hardened against celebrating the praises of Allah! they are manifestly wandering (in error)! Quran 2:114 And who is more unjust than he who forbids that in places for the worship of Allah, Allah’s name should be celebrated?-whose zeal is (in fact) to ruin them? It was not fitting that such should themselves enter them except in fear. For them there is nothing but disgrace in this world, and in the world to come, an exceeding torment. So wake up people.Be Rabbaniyyin. Do not get fooled by innovators and misguided and corrupt scholars! Wa Mina Allahu taweeq, wa salamun alal Mursaleen walhamdulillahi Rabbil Alameen.